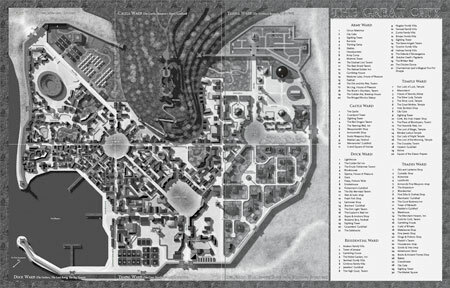 Based on their acclaimed Blueprints Series, 0one Games introduces an ambitious and detailed look at the locations behind the maps. This sourcebook portrays a struggling mercantile colony ruled by the incompetent son of a brutal emperor. A city whose earliest citizens proudly trace their history back for thousands of years, but now struggle against social and political oppression; a city where a brooding underbelly of resistance fighters, and crime syndicates, and a proud but disillusioned military all wait for their lord to fail. It is a city where night cloaks the deviant works of social outcasts, mad alchemists, and corpse robbers. 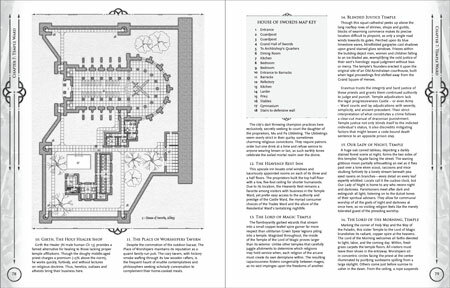 A big two pages-spreading gorgeous map of the city is included, with detailed key. 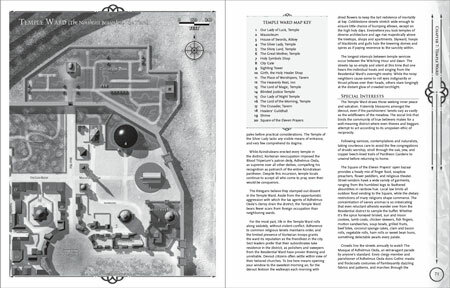 Within each chapter you'll find an one full-page map detailing the ward. 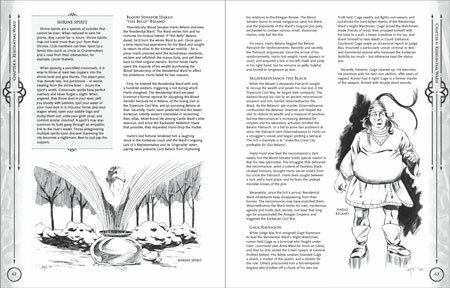 A short introducing adventure "The Cost of Freedom", by Tim Hitchcock is provided for a fresh start of your Great City campaign. 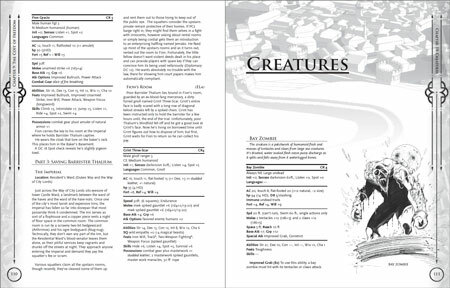 A chapter with unique creatures of the Great City provides you some foes to throw on your group.